The Sportz Dreamz Foundation has been in development since it was founded in 2011 by the original member players such as Kevin Smith Dallas Cowboy 3X Superbowl Legend, Terry Glenn 1995 Biletnikoff Recipient Pro Bowl Superbowl Champion, Eric Hill All-Pro Arizona Cardinal/LSU Hall of Famer, Lamar Lathon All Pro Pro Bowler former Houston Oiler/Carolina Panther, Santana Dotson Defensive Rookie MVP, Superbowl Champion Green Bay Packer, Lincoln Coleman only player to win both an NFL SuperBowl and Arena Bowl, Sean Salisbury of The Sean Salisbury Show, USC QB Legend, ESPN NFL Live, NFL QB,, and Alexander "Sandy" Armour of the Famed Armour Golf Family. The purpose of the Foundation is to provide former professional athletes and organizations with the opportunity to leverage celebrity, technology, campaigns, marketing assets, products, and staff to assist worthy nonprofits and businesses with fundraising and marketing tools. Our countless proven models, programs, products, platforms and constant cutting edge new innovations have literally revolutionized charitable fundraisers. They dwarf all traditional programs like the archaic cookie, candy, car washes, raffles and the infamous popcorn balls by ten of thousands to millions of dollars in increased fundraising revenues a and business sales. 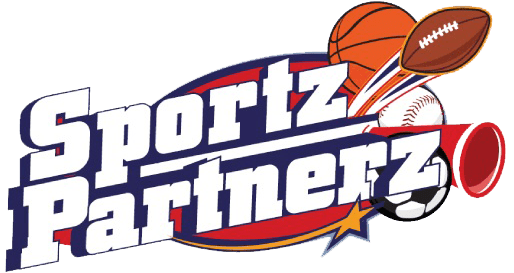 Over the past decade, The Sportz Dreamz Foundation has been creating, testing and perfecting their innovative technology platforms that integrate fan experiences, sponsors, fundraisers and proprietary products. "Through this compilation of business models we are able to provide exponentially higher returns to all non-profits, school districts, booster clubs and charitable organizations than they are accustom to receiving", says, Christopher Randolph, CEO. "We saw that bringing new school fundraising methods, technology, and professional athletes together would make one extremely efficient company," says Co-Founding Managing Partner & Biletnikoff Recipient NFL Great Terry Glenn. "Sometimes the genius in a deal is really simple, stop talking about it and actually just get it done." The complete portfolio includes unique fan experiences like interactive Pro Show Exhibition Games, hunting & fishing road trips, training camps, family outings, private labeled food creations and spices, "Lunches with Legends", ProPonz Reward & Sportz Dreamz Rewardz Card, all tied together by their proprietary social media style fundraising platform. Eric Hill, former LSU 1st rounder and All-Pro Linebacker from the Arizona Cardinals, said "watching all of these moving parts come together and provide all of our player partners with their own branded franchises has been very fulfilling." Athletes who have played/participated in at least one season in the NFL, NBA, MLB, WWE, MMA, PGA, and/or NHL qualify for a granted personally branded franchise chapter of the foundation for their respective home area or area of influence.